Sports Massage is for people who engage in regular physical activity. This form of massage assists in correcting problems and imbalances in soft tissue caused by physical activity or the everyday stress of life, restoring the body’s natural order to help prevent further injury. Swedish, Holistic, Sports Massage, Intense Muscle Release, Deep Tissue and Neuromuscular techniques are all combined to relieve muscular tension, helping to encourage a more healthy circulation. Release the tension all over your body with this signature massage, which will be unique to you and your needs, to leave you feeling deeply relaxed and recharged afterwards. Not just for helping with the everyday stresses of life, this massage also targets sore muscles and enhances a speedy recovery after vigorous sporting and exercising activities. LDM encourages the natural drainage of the lymph, using a range of slow methodical rhythmic, pumping techniques. These gentle techniques treat the skin in the direction of the lymph flow, which in turn stimulates the lymphatic vessels which carry substances vital to the defence of the body. When should you have LDM? From the ancient Indian holistic healing system of Ayurveda, this specialised technique incorporates massage of the neck, head, shoulders and face, focusing on pressure points to relieve headaches, reduce stress and tension. It’s particularly effective for those suffering with sinusitis, ear problems, insomnia, hair loss, muscular tension and fatigue. Did you know we now offer Oncology massage (Cancer Care) here at skin&bodyworks? A lot of people, including massage therapists, have the belief that massage spreads cancer. This is NOT true, and to continually repeat this erroneous information denies people who are really in need of therapeutic touch from experiencing a powerfully relaxing and nurturing massage. We are trained to ask questions related to the type of treatments the client has received for cancer, and this allows the massage to be adjusted and adapted to better suit the needs of the client. Massage can be given to anyone (with a small number of exceptions) at any stage of their journey. 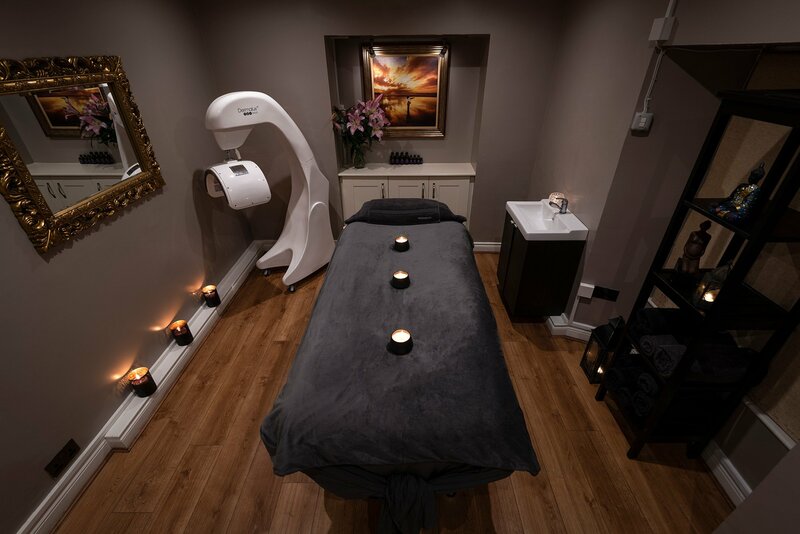 We have been trained in a number of massage adaptations, and whilst our main focus is comfort, we can adapt almost any treatment to suit any stage of cancer treatment. Receiving the diagnosis of cancer profoundly changes a person’s life. Everyone becomes highly stressed and many people feel lost and afraid, however oncology massage therapists can really help people during their cancer journey, giving comfort when it’s really needed.